The race will begin at 9:00 am on Saturday, February 23. On Chester Avenue in front of the Hofbrauhaus. When does race day registration/packet pick-up begin? Race day registration and packet pick-up will begin at 8:00 am inside the Hofbrauhaus and will end at 8:55 am. You can register online; the deadline for online registration is Friday, February 22, at 1:30 pm. *Please make checks payable to Hermes Sports and Events. Registration can also be completed in person at the early packet pickup at the Fleet Feet Westlake and Pepper Pike locations on Thursday, February 21, at Hofbrauhaus on February 22, or on RACE DAY. Is it safe to register online with my credit card? Yes, Hermes Sports & Events has partnered with Active.com, who is a leader in online registration. It is safe and secure. There is a small processing fee when registering online. If you are not comfortable registering online, you may send your registration with a check through the mail. If I am registering with a family member, can I fill out one registration form? No, we require individual entry forms for each participant to make sure that we have all the information we need for that participant. We will not accept two names on one form. All online registrations will receive confirmation via e-mail. For mail-in registration, you will receive a confirmation email as long as you provide a valid email address on your entry form. We will have several locations for packet pickup. You must specify at which location you would like to pick up. Thursday, February 21, from 4pm until 7 pm at these Fleet Feet locations. If I am pre-registered for the race, do I need to bring anything to packet pick-up? Can someone else pick up my race bib and t-shirt? Yes, both can be picked up by/for family and friends. Please have them bring a copy of your registration confirmation for easy pickup. This race is an officially timed event using the disposable B-tag timing system. Timing chips are attached directly to the back of your bib number and are to remain adhered for the duration of the event. You do not need to return your timing chip after the race. Results will be posted directly after the race on our website. Locate the race and click the ‘Results’ link or on the home page, go to the Race Results tab. You may need to refresh your browser to view. Does this race provide any kind of awards? There will be an awards ceremony immediately following the race where you can claim your award. I could not pick up my award on race day, how can I get my award? We can send your award to one of the Fleet Feet stores for pickup (Pepper Pike, Northfield, Westlake or Strongsville). Contact Karen at khentemann@hermescleveland.com to make arrangements. We can send your award to the next Hermes race you plan to run. Contact Karen at khentemann@hermescleveland.com to make arrangements. Awards can be claimed for up to 30 days after the race. Where can I park the morning of the race? Parking is available near Hofbräuhaus Cleveland, surrounding lots, & street meters are free on the weekends. Am I able to bring my dog or a stroller to the race? Dogs and strollers are welcome, but please stay to the back of the start area for the safety of the runners. Dogs will NOT be allowed in the Hofbrauhaus. I can no longer participate in the race due to an injury or scheduling conflict, can I get a refund or transfer to another person? Sorry, but all entries are non-refundable. Once we’ve received and processed your entry, you will not receive a refund, you may not give or sell your race number to other people, and entry fees are not transferable to the next year’s race or any other race. You are able to transfer your entry to another person for a fee of $10.00. This can be done at any of the packet pickups prior to race day. There will be NO transfers on race day! If I am unable to attend and I have already registered, can I still get my t-shirt? Yes, you can pick up your shirt at our office the following week – we do not mail shirts. Please call the office ahead of time to let us know that you are coming. 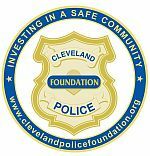 E-mail Karen Hentemann at khentemann@hermescleveland.com if you are interested in volunteering for the race. Do I have to run the race or can I walk instead? You may walk the course. However, the police may ask you to move to the sidewalk as the race draws to an end. What is the weather typically like at this race? The weather in Northeast Ohio is always unpredictable! For up-to-date forecast information, click here. While this depends on personal preference, a typical race packing list includes your running shoes, spare shoes/socks in case of inclement weather, layers or a change of clothes, a watch, your registration confirmation (if you need to pick up your packet), and your race bib (if you have already picked up your packet). How is the course- does it have many hills? For the most part the course is flat. There are some small hills along the way. For how long will the course be open? The course will stay open until about an hour after the race start time. Ultimately the police decide when to close the course for everyone’s safety. I noticed this event is part of the Road Race Series. Do I have to be registered for that to participate? No, this race is open to all interested participants. For more information regarding the Road Race Series, please go to the Road Race Series link on our website. If you ran the race in the past and supplied an email address you will receive information and race updates as the race gets closer. 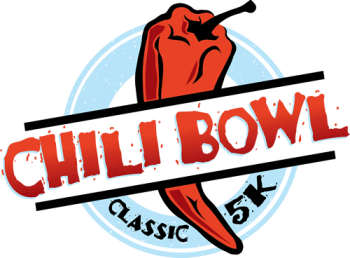 Others interested in joining the Cleveland Chili Bowl Classic 5K email list, please CLICK HERE.